Portrait of Theodorus Schrevelius (1572-1649) at the age of 44, as the inscription on the book indicates (‘AET. 44’, ‘aged 44’). At that time Schrevelius was head of the Grammar School in Haarlem. Evidence that he is the subject of the portrait is provided by two prints with inscriptions, which were made after this painting. The same prints also name Frans Hals as the painter. This is confirmed both by the brushstrokes and the technical composition of the work (which can be seen quite clearly under a microscope) and by its style. 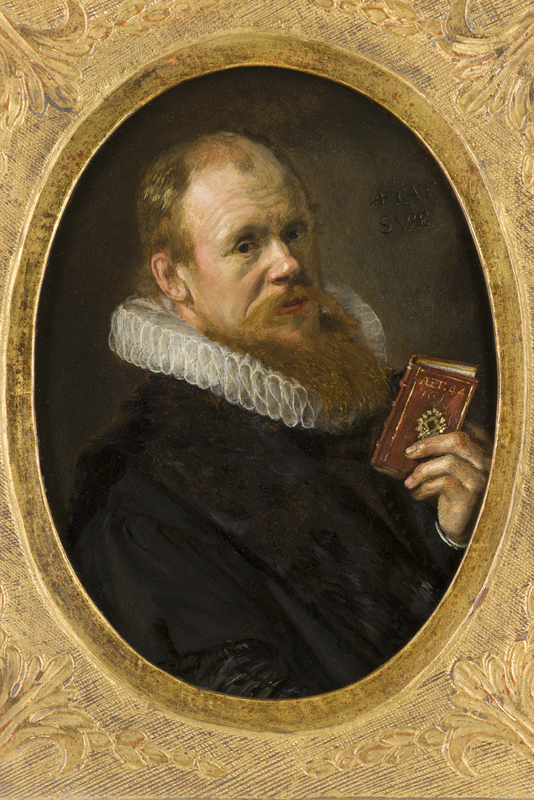 Moreover, a contemporary wrote that Schrevelius had shown him ‘his portrait by Hals’. When Hals painted this portrait, he was still in the early stages of his career.